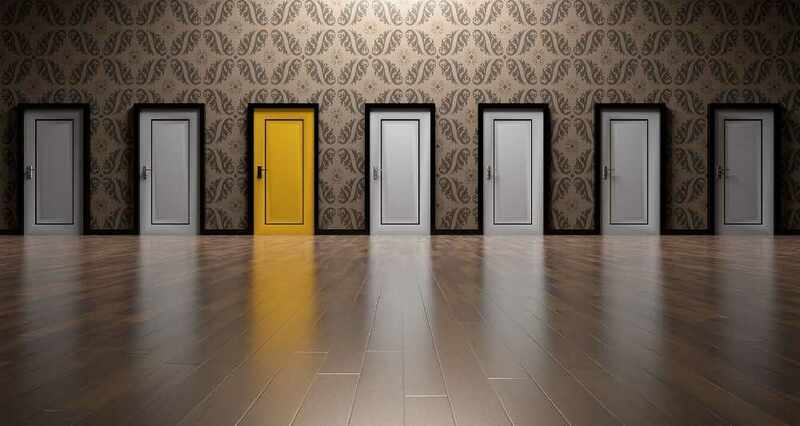 How to Choose which Door to Open - Right Song. Right Time. We make about 35,000 decisions every single day. Most of these decisions are relatively insignificant, but what about the significant ones? How do we discern which path God wants us to take? God’s will for our lives isn’t as mysterious as you might think! Here are a few thoughts to help you embrace Godly discernment! 1. The opportunity that is presented to you will NEVER contradict what the Bible says about how Christians should conduct themselves and how Christians should live their lives. God will never present an open door that forces you to compromise your values or disobey God's Word. If we feel that we’re compromising in any way by walking through this “open door,” it is likely not an opportunity God is presenting. James 1:13-14 tells us that God does not tempt us. 2. The opportunity that God is presenting will be accompanied by confirmation from someone or something. An “open door” is something God wants us to walk through so we can develop a more imitate relationship with Him. God will speak to us through the Bible, through a message at church or through one-on-one advice from a pastor or well-respected person who is grounded in Scripture. Think about how this new opportunity can lead you to abide in Christ like Jesus talks about in John 15. 3. The opportunity presented will require us to trust God and rely on Him for support and guidance. Jesus wants to be apart of EVERY aspect of our lives. An open door given to us by God will never be something we can do entirely on our own. He wants us to look to Him for help. The simple act of turning to Him in prayer brings us into deeper relationship with Him - and that's where real joy grows. An open door is an opportunity that stretches and strengthens our faith. God’s ultimate wish and purpose for us is to grow in faith and develop more like Christ every day.